We get them in our neighborhood so often. Generally cows and calves. Alaska is the home of the biggest moose, alces alces giga. My husband has had to call in "moose" to work in the past, because he's not messing with any animal bigger than our car who just wants to hang out in our driveway. 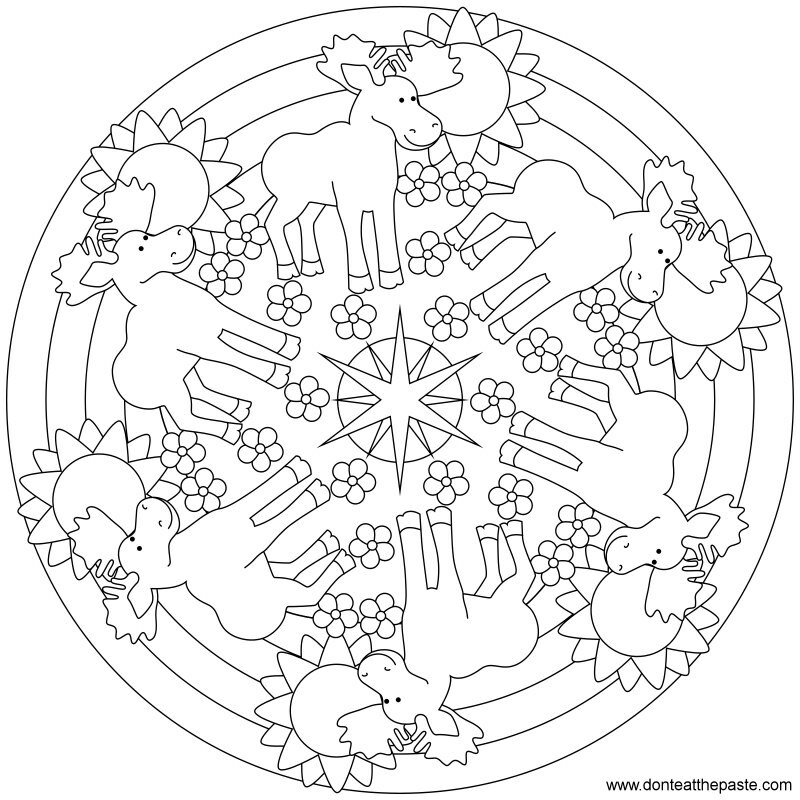 So since moose make me think of Alaska, this is kind of an Alaskan themed mandala. 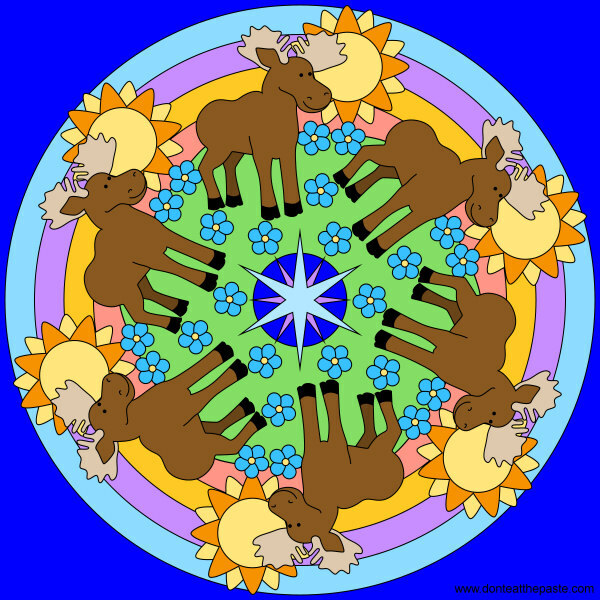 The center represents the North Star, the flowers which are completely not in scale represent our state flower, the forget-me-not (forget-me-nots are tiny in real life. 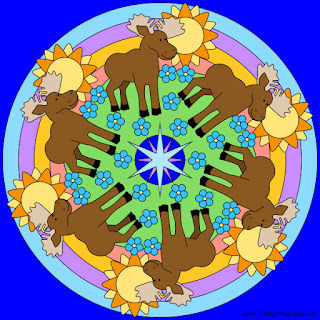 Moose are HUGE), and the sunrise/sunset for our midnight sun in summer when it only gets dark for about an hour then we have a 3 hour long glorious dawn starting about 2 am. 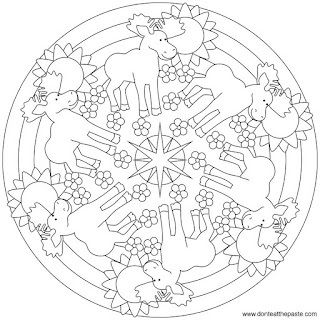 Click on the images below for larger versions to color. Print and color!